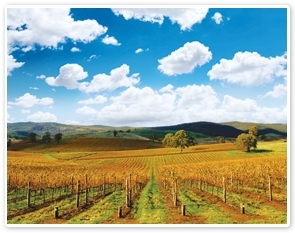 Travel through the city of Adelaide northwards to the world renowned Barossa wine region. Enjoy the change of scenery as you make your way into the vineyards of South Australia’s premium wine district. Your first stop is at the multi-award winning Jacob’s Creek Visitor Centre where you will have the opportunity to sample their famous wines in a structured tasting, take a tour of the surrounding vines and cellar door and enjoy morning tea as you overlook the vineyards. Leaving Jacob’s Creek Visitor Centre, travel to Mengler Hill Lookout for sweeping views over the valley and then onto Saltram Wine Estate at Angaston. Here you will learn about Saltram’s 150 year history and taste some of the wide selection of quality wines from the stunning cellar door. After a memorable cellar door experience, journey to the South Australian Company Store and Kitchen for a delicious lunch. The Company Kitchen draws on ingredients and traditions that are distinctly from the Barossa regional producers. You will enjoy a scrumptious 2 course lunch (including a tasting plate) along with wine tastings from two boutique Barossa wineries.